Pirrone's Pizzeria serves up St. Louis-style pizza from two area locations - one in Florissant and one in St. Peters. The pizza comes with the typical toppings, such as Canadian bacon, black olives and mushrooms. Pirrone's also offers ravioli and cannelloni, including seafood cannelloni stuffed with lobster and shrimp and scallops in a cream sauce. Guests can dine in the restaurant or carryout their pie. 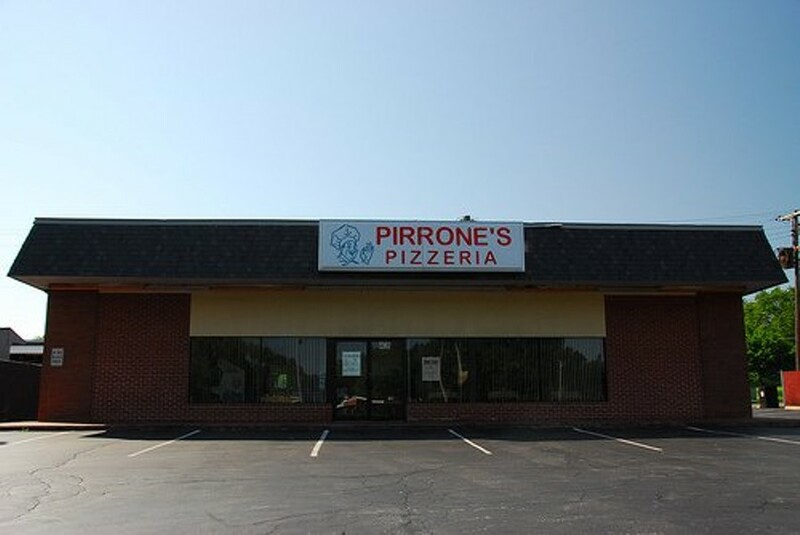 Pirrone's also hosts private parties and offers a lunch buffet.